Foaming it up in the mid-atlantic. Cresson, Gallitzin and Altoona. August of 2018. The N Scale Weekend in Altoona is a great event and a good reason to head out to the east coast railfan Mecca. This weekend was also a good chance to play with my new Rebel T7i and try out its low light capabilities. I was driving home from my friend Josh’s place and needed to get some gas. There’s one way I could’ve gone where I didn’t drive by the tracks, and there’s one way I could’ve gone where I did. You can guess which way I went. 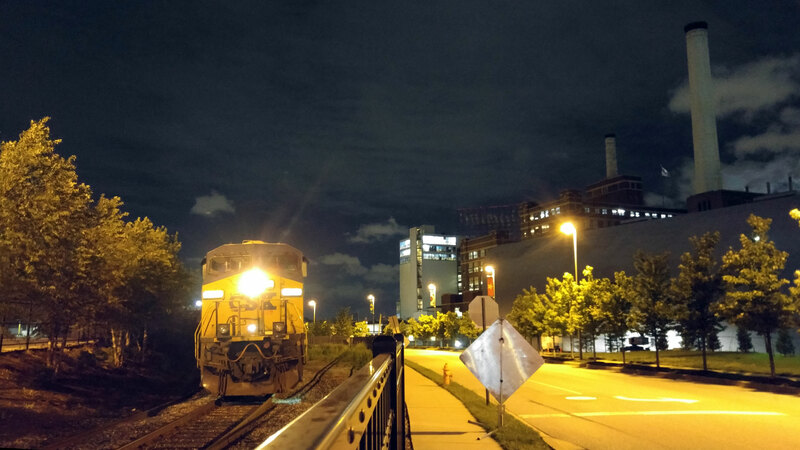 My friend Ben recently organized a railfan trip back to his homeland: Pittsburgh. It was a great weekend and even though we were fighting the weather, we still had a great time and saw a bunch of fun stuff. 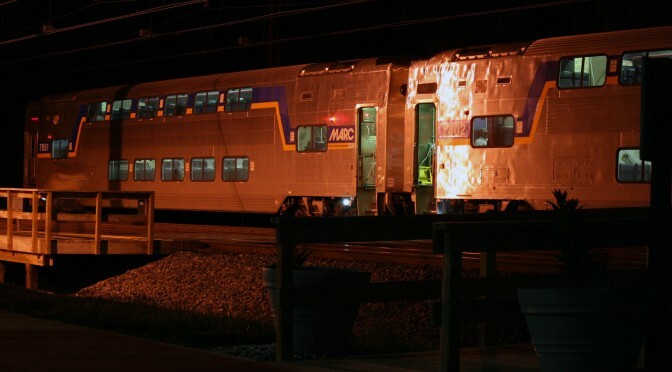 The weekend started off with some night photos at the Southwest Penn’s Scottdale facility. The Bedford (now Altoona) N Scale Weekend is a great event. 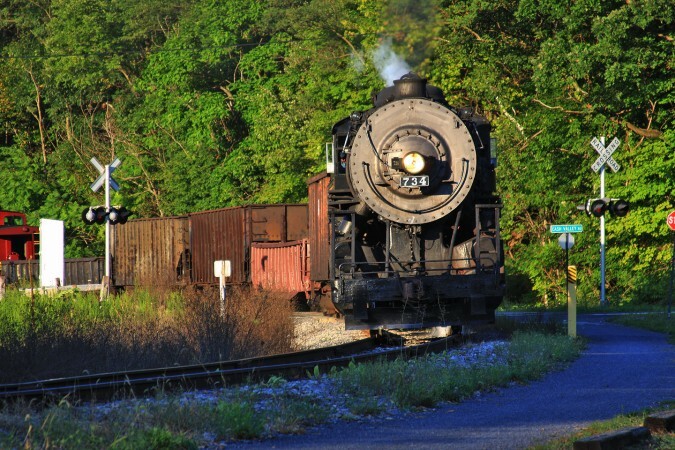 The show itself has always been interesting, but it also serves as a good excuse to get out to a fun part of the world and do some railfanning. I did that exact thing this with my friends Ben, Lee and Josh. 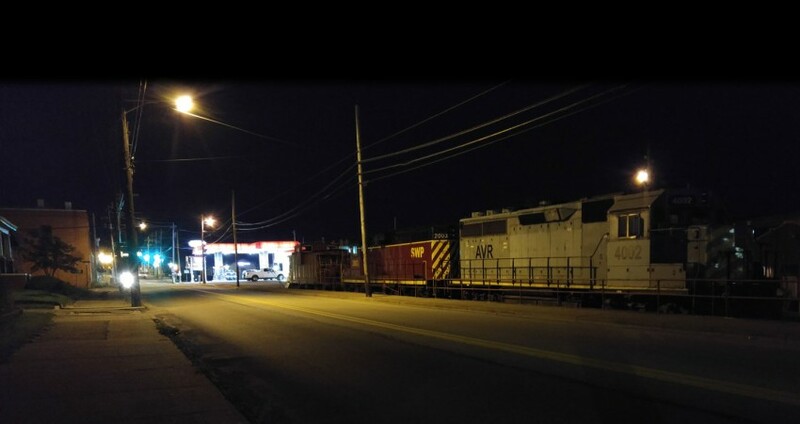 I’ve long enjoyed railfanning at night. Usually the pictures don’t turn out that great, but it’s fun to just hang out and see things you might not otherwise see. Occasionally you get lucky and something stops long enough for you to get a photo. I did just that in May of 2014 at the Martin State Airport MARC station.